In the summer of 1999, during a cosy chat with my good friend Gerard C.L. Martens “that airplane in Etten-Leur” comes up. Gerard remembers clearly that, at age eleven, he went in the summer of 1949 with his father (born in 1893 and in 1909 eyewitness of the first motorised flight in The Netherlands), by bicycle from Breda to Etten-Leur. Most likely because of an article in the newspaper about the 40th commemoration of the first flight. 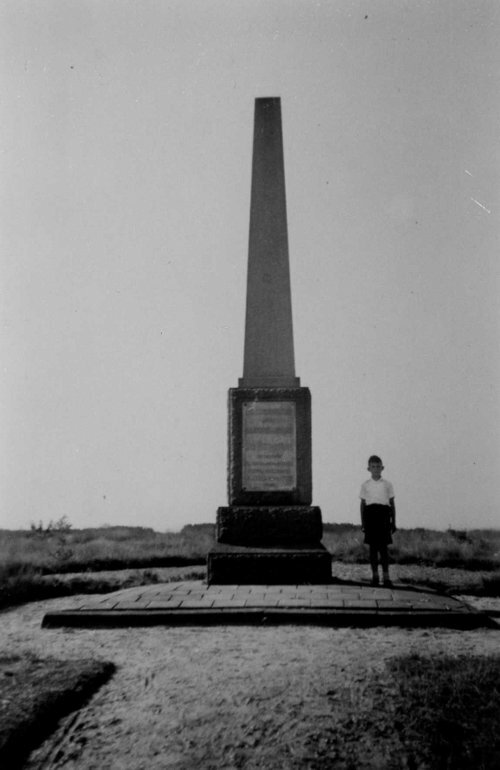 The obelisk makes a tremendous impression on him. 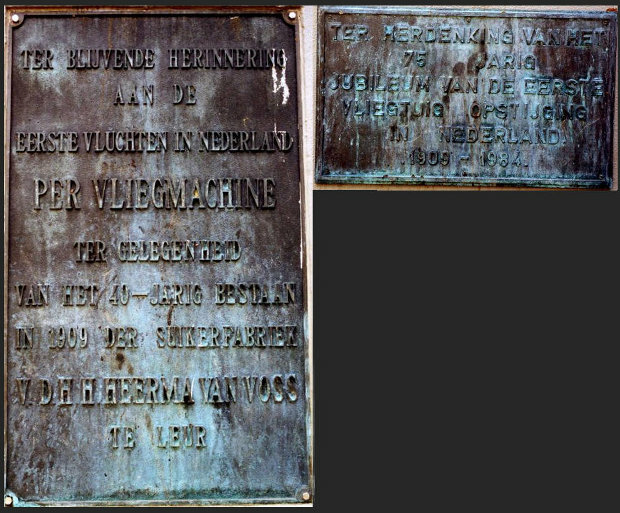 On my subsequent visit to the aviation-monument I notice that there are two memorial plaques. 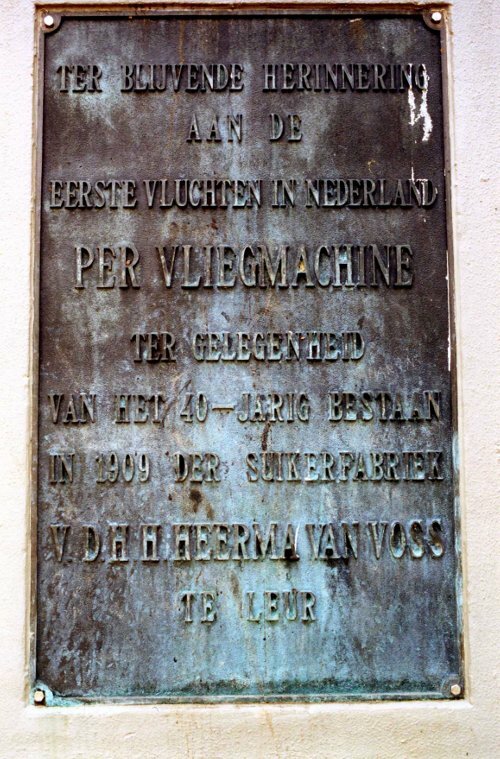 It struck me that only the sponsor/organiser ‘H H HEERMA VAN VOSS’ is mentioned and not the pilot Charles count de Lambert; a Dutch trait…. Immediately I set myself a twofold challenge: posthumously giving Charles de Lambert the recognition he deserves and also saving him from oblivion. 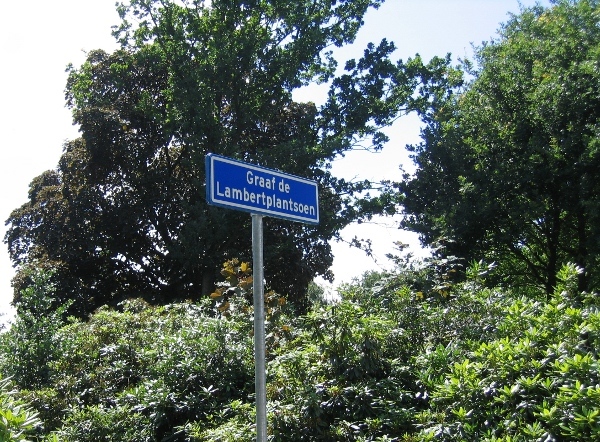 After extensive correspondence with the local authorities of Etten-Leur on Friday June 27 2008 my first challenge is realised: the area round the obelisk is named ‘Graaf de Lambertplantsoen’ (Count de Lambertpark) and the nameplate is unveiled. The result of my second challenge is what follows!